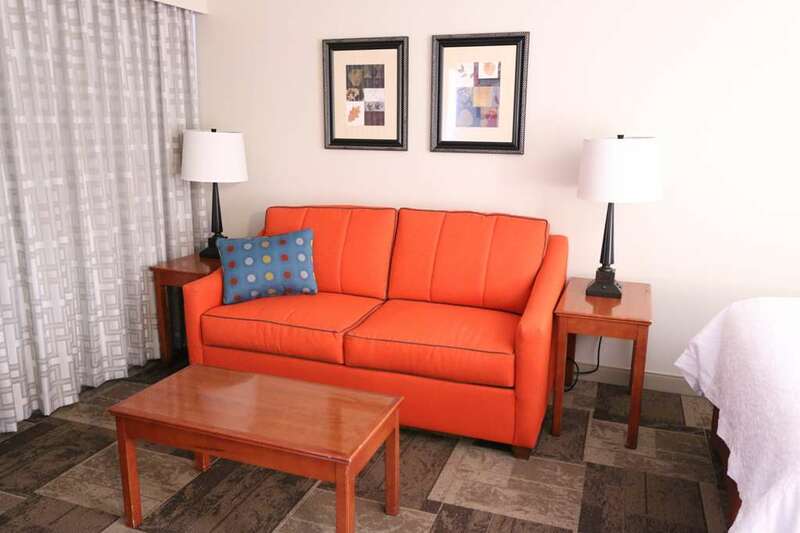 At the Hampton Inn - Hutchinson KS hotel you*ll find brand new rooms - suites with one king or two queen beds. All rooms include microwave and refrigerator in-room coffee iron and ironing board and hair dryer. All accommodations feature a large work area complimentary high-speed internet access both hard-wired and wireless two speakerphones and voice mail messaging. In the morning our guests are invited to enjoy our On the House Breakfast with rotating hot menu items including waffles sausage eggs biscuits and gravy. Help yourself to a variety of pastries yogurts cereals and fresh cut fruit. In a hurry. Grab one of our On the Run Breakfast Bag with everything you need to start your day off right. Catch up on current events with a USA today. After hours when it*s time to unwind you can take a dip in our heated indoor pool relax in our bubbly whirlpool or work out in our fitness center. The Hampton Inn hotel is located in central Hutchinson Kansas with easy access to all corporate and recreational attractions. Hutchinson Mall and movie theatres are within walking distance. Kansas Splashdown Indoor Water Park and Kansas Cosmosphere and Discovery Center with daily IMAX and laser light shows are just a mile away. Kansas Underground Salt Museum is located just 2 miles away. Join in the games at Fun Valley Sports Complex and Hutchinson Raceway Park or take part in the activities at the Kansas State Fair. If you*re seeking recreation Carey Park and Zoo and Salt City Splash Water Park are just a short drive away. And when it*s time to unwind you*re only minutes away from dining shopping and entertainment. We love having you here in Kansas at the Hampton Inn Hutchinson hotel.